Exterior house cleaning services are essential for proper maintenance of a home. At Shack Shine, we’re shining your neighbourhood, one home at a time. Not only do they help to protect your home’s value, but they can help save you money. A clean exterior minimizes the need for frequent painting or replacement of structures or siding. In one detailed visit, we’ll scrub your home from top to bottom. It’s sure to be the shiniest home on the block. 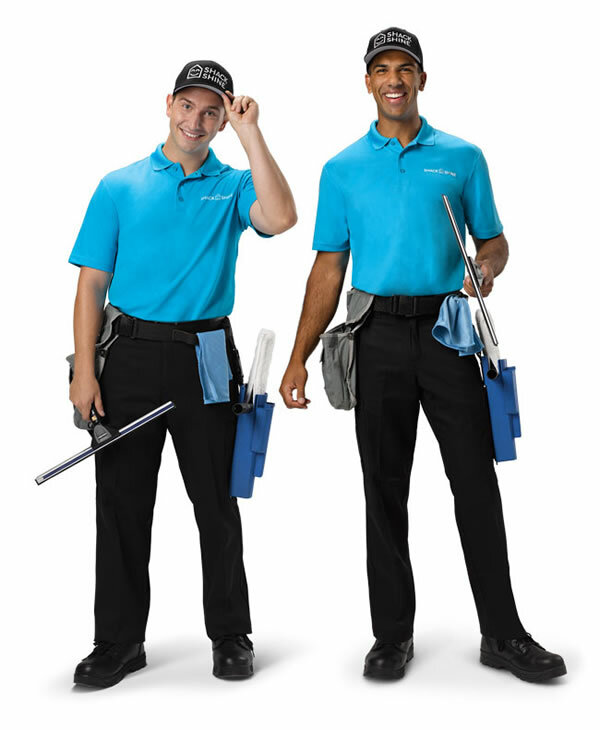 It starts with the arrival of our friendly, uniformed technicians we arrive in shiny, organized vans ready to work. When you see the end result, you’ll know we do the job right the first time. How can we help you with your York area exterior house cleaning needs? We offer window cleaning for interior and exterior windows in the York Region including Vaughan, Richmond Hill & Markham. You’ll love the amount of detail we put into scrubbing those windows clean. Most importantly, we can even get to those hard-to-reach areas you need to be done right away. Your home will love you. Making your home smile is at the heart of what we offer. Window cleaning is just one component in our house detailing services in York. Eavestrough cleaning is a chore no one likes to do. And, it’s dangerous. Our team uses a high-tech method of vacuums that properly cleanses the system without damaging any of the lines. It removes all of that built up material and those leaves from the pathways to allow water to flow properly. This simple process protects your home’s foundation. House washing is a must for any structure. It helps to pull off debris and grime that’s so common on homes in York due to the changing seasons. The process we use safely removes all of that buildup and doesn’t damage your vinyl siding, brick, or another exterior. We use the latest technology to scrub your home. That includes water-fed pools and pressure systems that remove what’s not supposed to be on the surface safely. Our services also include the use of filtration systems that allow us to cleanse the home without damaging your landscaping. Positively shiny every time. York roof cleaning isn’t a task you should do yourself. With our advanced methods, we can scrub the roof clean without the use of dangerous, high-risk chemicals. We’ll remove all of the built up material, mildew, and grime so your roofing materials look new again. We care about the environment. Because we use power washing systems to help cleanse surfaces, we can safely and effectively scrub them clean without any chemicals. This method is super safe, and it’s effective. Our team will use water-fed systems and filtration systems to clean concrete including your driveway and patio, without any hassle. We can use power washing on numerous surfaces safely. Pressure washing is ideally suited for any horizontal surface. By using this method to cleanse your home, we’ll remove debris and grime to create a great, like-new look. It also helps to prevent deterioration. Our pressure washing methods use the latest technology to create incredible results. We carefully move and replace all of your patio furniture and belongings so you don’t have to worry about it. Have you ever seen marvellous Christmas light displays and wondered how you could make your home look that great too? SHACK SHINE is here to make your home shine bright this Christmas. We will design and install your custom fitted Christmas lights based on what you desire. Our Christmas lights are commercial grade lights, that are energy efficient and utilize less energy than the typical store-bought Christmas lights. 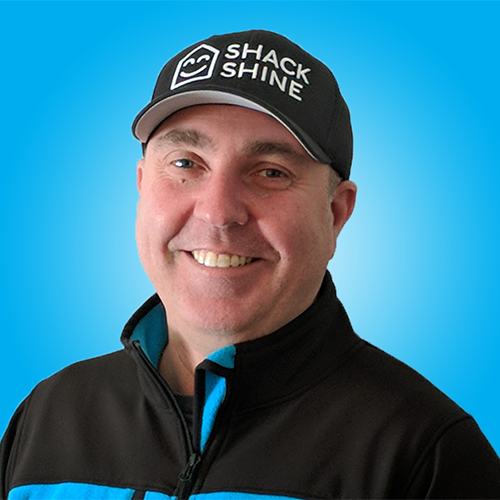 My name is Bryan Anthony and I am the owner of Shack Shine York Region. I was born and raised in Toronto and along with my wife Sanda, made Unionville in York Region our home in February 2014. I have spent the last 10 years in business management and accounting in Markham, where I have seen the value of serving your community. In 2016, with the support of my wife, I made the call to open my own business. Enter Shack Shine, the world’s first international “house detailing brand” focused on providing an exceptional customer experience. I was hooked! I’m thrilled to be able to provide quality and dependable service as part of the Shack Shine team. My team and I can’t wait to make your home shine!